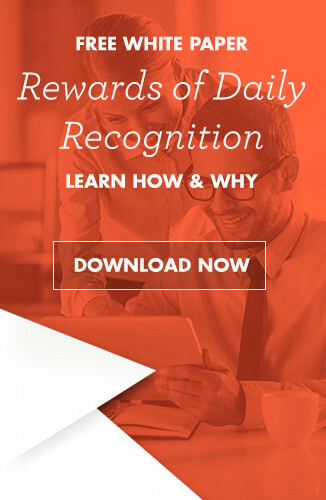 Handing out gifts and rewards to recognize employee performance on special occasions is a great way to boost company morale, but that’s only true if the gift is well-considered, matching the employee’s personality, and personalized. After all, without a bit of a personalized touch, whatever sort of gift or award you give is bound to come across as being generic and given without thought to the recipient, which is going to make it fall flat and could even have and effect opposite of what is desired. Let’s start with something simple and understated. Don’t let this paperweight’s small size fool you, it’s made of a zinc alloy and has surprising heft to it. 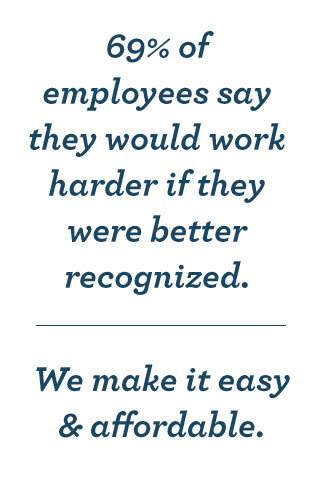 The front side is printed with the definition of excellence, and there’s space on the back for your personalized message to an employee who lives up to and demonstrates the definition of the word defined on a daily basis. This striking sculpture is a visual representation of what it takes to succeed in today’s fast-paced business environment. Emblazoned with the quote “Only those who see the invisible can do the impossible,” with room to add an employee’s name and a personalized message, this sculpture is the perfect way to pay homage to an employee who consistently thinks outside the box, brings radical new ideas to the table and has a reputation for doing the seemingly impossible. A true masterpiece. What an amazing gift! This personalized wine cradle is constructed of high quality jade crystal and comes in an attractive, protective gift box. Simply insert a bottle of your employee’s favorite wine and watch as it seems to float in mid-air at an angle designed to keep the cork moist. It’s an elegant, understated gift with plenty of space to etch your employee’s name and a personalized message that will make this a cherished, unforgettable gift. This hand-crafted 750ml decanter is a thing of beauty. Because each of these are hand-blown, they are truly one of a kind gifts that can be further personalized with the employee’s name and a message meant just for them. A remarkable, memorable way to show your deep appreciation for a valued employee. Emblazoned with the phrase “For every action, there is an equal and opposite reaction,” this piece is a classic piece of office décor that’s sure to be appreciated. It’s mesmerizing to watch in action and can be engraved with a deserving employee’s name and a personalized message, allowing you to express your gratitude and appreciation in whatever way seems most appropriate to the occasion. It’s hard not to fall in love with this intriguing design. Both the clock’s face and the gears that control the motion of the hands seem to be suspended in midair, and the clock itself is made of rosewood with a high gloss finish giving it an elegant, stately appearance. The design includes a small brass plaque which can be engraved with the employee’s name and a personalized message, making it a gift that won’t be quickly forgotten. A timeless classic. Shifting gears for a moment, we wanted to include an item that was designed to reward and recognize a group, rather than a specific individual. Business is, by definition a cooperative enterprise, and it takes a team of stellar performers to produce truly epic results. This beautiful sculpture captures that sentiment in a striking way. The quote on the base reads: “Teamwork is the ability to work together toward a common vision. It is the fuel that allows common people to attain uncommon results.” There’s also room for team member names and whatever personalized message you’d like to include to honor them. This striking starphire crystal vase is a sleek, modern design that holds broad appeal. In addition to being a beautiful design in its own right, it’s also got a very large engraving area, allowing you to personalize it by adding the recipient’s name and whatever personal message you’d like to include. This one-minute hourglass has a magnet in its beechwood base, which causes the magnetic sand contained in the housing to fall forming stalagmites that rise, then collapse in unique configurations every time the glass is flipped. The base has space for your employee’s name and a short, personalized message. A great gift for any gadget-loving employee on your team. This is a true classic. Bulova makes outstanding watches in general and this is no exception. It’s got a simple, elegant, understated design, is made from solid stainless steel, and is water resistant to 30 meters, designed to provide you with decades of reliable service, just like the employee you choose to honor with it. The entire back face of the watch can be engraved with the recipient’s name and a personalized message. There’s something magical about snow globes, and this one is an exceptional design. Beautiful and elegant, it features two tiny cherry blossom trees situated on a small green knoll, and of course, when shaken, the snowfall produces a mesmerizing effect that is a guaranteed conversation starter. It measures 4.5” x 4.5” x 4.5,” and the globe itself is mounted on a black base, with a small metallic plaque on the front face that has space for the employee’s name and a personalized message to show your appreciation. And there you have it! We’ve tried to include a broad cross-section of personalized gifts that cater to a variety of tastes and preferences and are offered to fit into a range of budgets. If, for whatever reason though, none of the items listed here are exactly what you’re looking for, not to worry. We’ve got plenty of other great, personalized gift ideas on our main site. Check out our complete product line here.